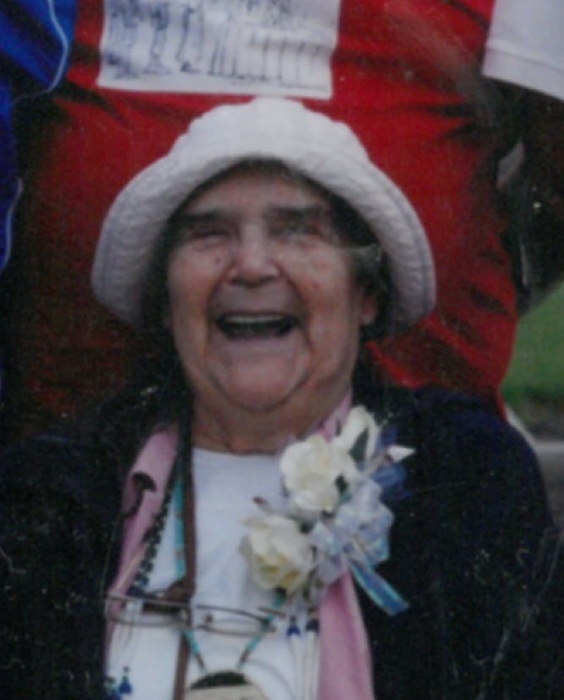 Mary Service Viles passed away peacefully at home in Prineville, Oregon in the company of her family on 20 March 2019. Mary was born into this world by Ada (Carson) Service on 11 August 1927 in Toledo, Oregon. Mary had an immediate impact on the community. Mary’s father, Robert Service, worked as a typesetter for a local newspaper, which ran a column explaining the delay of the present issue was caused by the birth of Ada and Robert's daughter and concluding with the wry promise that they would see that it would not happen again. Mary grew up in Toledo surrounded by her family and many relatives. In 1945, she married Melvin Viles in Medicine Wells, Texas near where Mel was stationed in the Army. After living in Toledo, Albany, and Portland, and having three children, Mary and Mel agreed their final move would be to Prineville where their younger four children were born. Mary's individuality and humor provided her the strength and perspective needed to raise a large family in a small Central Oregon town in the 1950s - 1970s, far from her coastal home. Mary recalled often how homesick she would get to see the greenery of Toledo, so one time Mel drove her to the woods near Prineville where she ended up crying because there was a little greenery but she had to look hard to find it. In addition to providing a home for their children, Mary and Mel hosted frequent visits and extended stays of relatives and friends when needed to live with them in their busy household. Over the years Mary held many jobs outside of her home. Some of her favorites included working at Bob's Flower Shop, City Center Motel, volunteering at Prineville Chamber of Commerce and Friends of the Crook County Library, and knitting sweaters. She participated in many different aspects of work for her tribe, the Confederated Tribes of Siletz Indians. Mary volunteered on many committees and among other important tribal work, Mary was instrumental in the establishment of the tribal court and served as a judge for more than 16 years. Mary’s love of reading and her active modeling of lifetime learning inspired her children and many others. She completed many certificates through continuing education and enjoyed teaching her family and others how to knit, make baskets, sew, and garden. Mary had a deep love for her relatives and friends and loved to recount memories about the fun and interesting times they shared. Those that Mary loved knew they were loved and now miss her. Mary was preceded in death by husband, Melvin; parents, Robert and Ada Service; brothers Robert, John, William, and Michael Service; sisters Nancy Olson and Joan Richardson; sons David and Timothy Viles. Mary is survived by sister Jane John; sisters-in-law Mary Service and Sarah Service; daughters Melissa (Michael) Potter and Cynthia Viles; sons Daniel (Teena), Curtis (Julie), and Andrew (Carla) Viles; daughters-in-law Linda Viles and Tammy Viles; granddaughters Melanie, Jessica, Sarah, Breana, Elizabeth, Sydney, Alyson, and Rayna Viles, Nicole Potter, Amanda Jett, and Molly Olheiser; grandsons Nicholas, Tyler, Jerome, Carson, Samuel, Joel, and Ryan Viles, Tao Potter and Gasun McCabe; 11 great grandchildren, one great-great grandson, and numerous nieces, nephews, and cousins. A Memorial Service will be held at 1:00 pm on 6/8/19 in Siletz, Oregon. In lieu of flowers, the family requests donations be made to a charity of your choice. There's still time to send flowers to the Memorial Service at the Siletz Indian Hall at 1:00 PM on June 8, 2019.